Iowa State women’s basketball head coach Bill Fennelly agreed to a three-year contract extension Thursday. The dean of Big 12 Conference coaches is now under contract until June 30, 2025. Next season will be his 25th as the Cyclones’ head coach. Fennelly’s 2018-19 team went 26-9, his 20th season with at least 20 wins. His overall record at Iowa State stands at 505-262. The Waterloo Women’s Golf Association will hold its annual spring opening breakfast April 11 at the Irv Warren Golf Course clubhouse, beginning at 8:30 a.m. The agenda includes breakfast, a preseason meeting and golf if weather permits. The WWGA is open to female golfers of all ages. Weekly play is scheduled to begin April 13 and runs through the end of September. Cost is $50 per player, which includes USGA handicap and league fees. Breakfast is $8.50. For information about 9-hole play, contact Rita Kehoe at (319) 239-2975. For 18-hole information, contact Bev Seger at (319) 234-3888. University of Northern Iowa national champion Drew Foster will be honored at the state capitol Monday. Foster and Iowa national champion Spencer Lee will be honored with a resolution from the House and Senate. Foster won the 184-pound national title while Lee was the 125-pound champ at last weekend’s NCAA Championships in Pittsburgh, Pa. The Waterloo Black Hawks have made forward Matthew Argentina just the fourth player ever signed to a pre-USHL Draft tender agreement by the club. Argentina is a 5-foot-11, 170-pound 16-year-old who played for the New Jersey-based Mercer Chiefs during the 2018-19 season. By acquiring him through the tender process, the Black Hawks have guaranteed that he won’t be claimed by another team during the USHL Phase I Draft and will play for Waterloo next season. A Philadelphia native, Argentina helped the Mercer Chiefs to the Atlantic Youth Hockey League’s U-16 playoff title after a 17-3-1-1 regular season. He averaged more than a point per game with 11 goals and 11 assists in 19 appearances. He is committed to play college hockey at Notre Dame. Former Waterloo Black Hawk Shane Bowers agreed to a three-year contract with the Colorado Avalanche Friday. Bowers spent the 2015-16 and 2016-17 seasons playing in Waterloo, then played two seasons at Boston University. He was drafted 28th overall by the Ottawa Senators after his freshman season in college, but Colorado acquired the rights to sign him as part of a three-team trade. 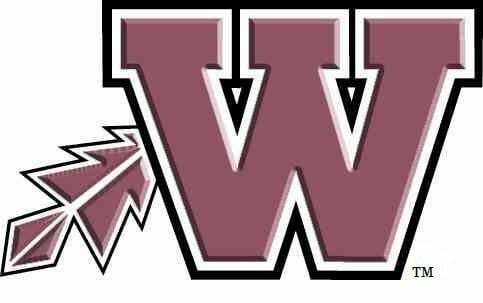 Waterloo West High School recently presented the Iowa High School Athletic Association “Friend of School” award to Tasha and Jesse Knight during the Wahawks’ annual spring/summer kickoff event. The award is presented to people who support activities in their respective school districts and enjoy working on behalf of students.